Eastway Toyota is a premier Toyota car dealership in Windsor, Ontario. Eastway Toyota offers quality new and used Toyota vehicles. The Windsor car dealership serves Windsor and surrounding areas. Munawwar Ali is President of Eastway Toyota. 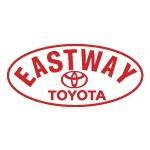 Products Carried: Eastway Toyota offers a large inventory of quality used and new Toyota vehicles. Located in Windsor, ON, Eastway Toyota is a premium car dealership serving Windsor and surrounding areas like Essex, Sarnia, and Chatham. Along with quality Toyota cars, Eastway Toyota offers tires, parts department, and a service and repair department. They also offer vehicle leasing or financing options.